Dr. Schendel has designed a number of innovative medical devices and holds six patents. Several of these devices have been in the field of distraction osteogenesis. 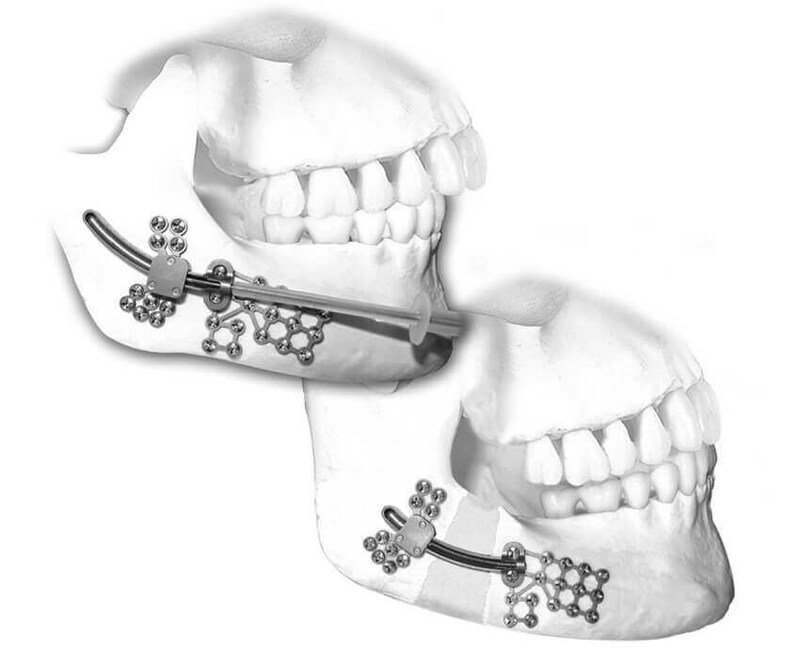 Based on his training and research in facial growth and development, Dr. Schendel designed an internal mandibular distractor (lower jaw) that lengthens the mandible in a curvilinear manner to mimic the normal logarithmic growth of the mandible. Prior to this innovation, all distractor devices allowed only straight movement of the bone, which could not reproduce the normal shape of the mandible. 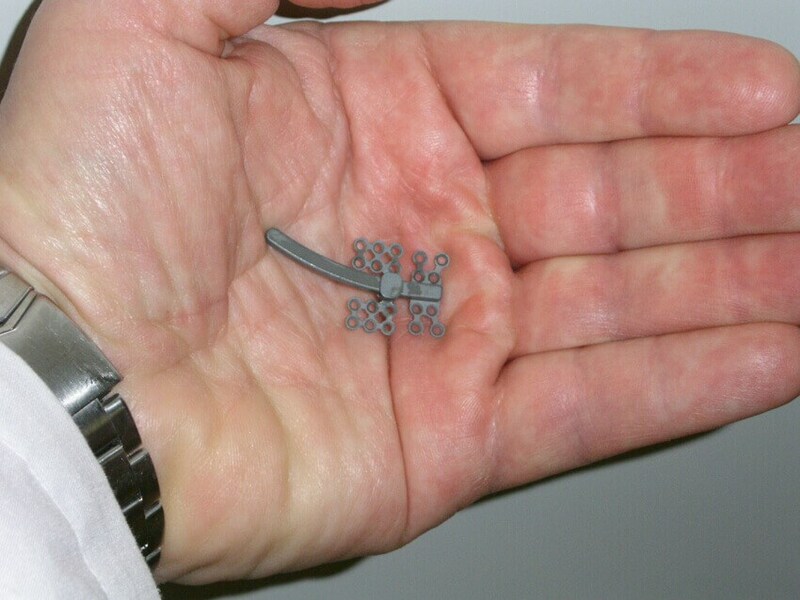 Dr. Schendel’s device is made in different sizes and curves so that it may be used for both infants and adults. Research has shown this device to be well accepted by patients and to have excellent results in rebuilding small lower jaws and correcting the breathing problems associated with them. Dr. Schendel also designed a distractor for the upper jaw, or maxilla, that is internal. 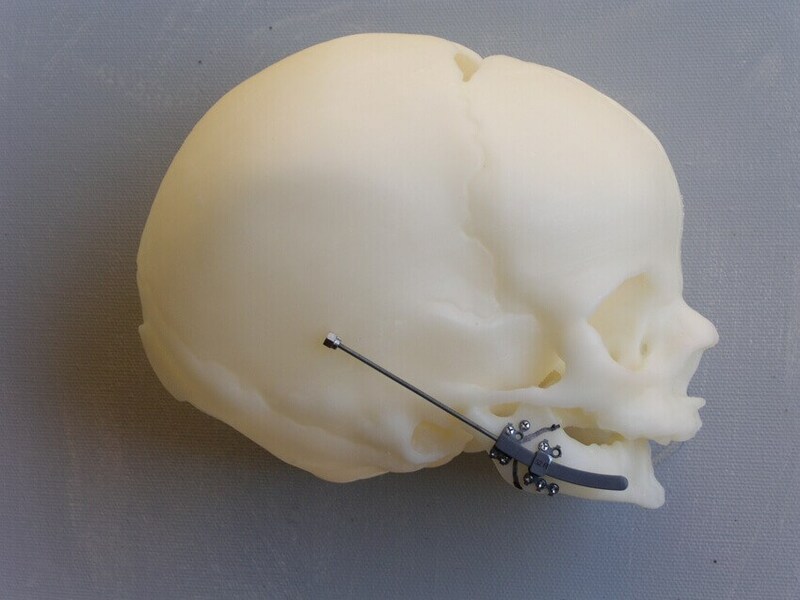 Based on his knowledge of anatomy and understanding the limitations of existing external devices, he felt a number of improvements could be made to these devices to improve both the results and comfort for the patient after surgery. Dr. Schndel’s maxillary device is called a Spectrum and is the only bilateral device that does its work totally inside the mouth. Other external devices require pins in the head and a large metal device that partly surrounds the head extending to the front of the nose. Studies have shown excellent results with Dr. Schendel’s device during the last ten years.